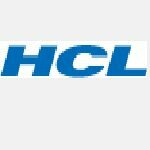 HCL Apprentice recruitment 2016-17 notification apply for 28 vacancies : Hindustan copper limited (HCL) welcomes application for the position of 28 ITI trade Apprentice vacancies. Candidates who completed their matric, ITI is a good opportunity.The individuals who are the occupation seekers searching for govt employments in Gujarat this is the best chance to apply. Competitors read the official notification then read all the guidelines and miners precisely then apply before the last date online application got. All the interested and eligible candidates can apply before 13th August 2016. Candidates Age Limit: The age of the candidate should not be less than 18 years and should not be more than 25 years. The age of the applicant should be as on 1st July 2016. Academic Qualification Details: Candidates should have passed matriculation class standard examination board with science and mathematics under +2 system or its equivalent with ITI in relevant trade or passed 8th class examination with ITI in welder / wireman. Process of selection for the job: The selection of the candidates will be on the basis of written examination and personal interview depending on the number of Candidates applied. Process of applying for the job: Candidates ITI trade Apprentice position may attend interview along with application form with self-attested photocopies / required documents send to the senior manager, Hindustan copper limited (HCL), Gujarat copper project, 747, GIDC Mega Estate, Jhagadla, District Bharuch, Gujarat:- 393110 on or before 13th August 2016. Important Dates: Last date of the submission of application is 13th August 2016.